I am posting this from just outside of London this week; last week was from Ottawa. I am looking forward to being at home again and staying there for a while, which may have influenced this week’s theme. 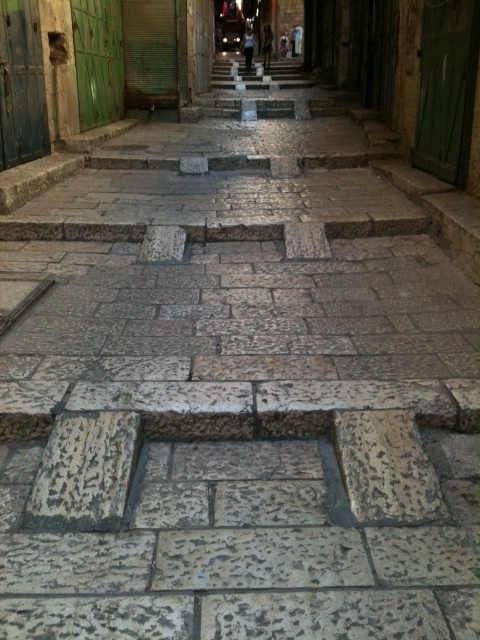 Worn with age, edges softened, grime filling the gaps – the cobblestones are testimony to the passage of time. The street bustles in daylight; the night is quiet – only the occasional rat scurries. Darkness conceals, providing needed shelter. In the shadows, I sit. Lost to the world, I claim this corner as my own. I yearn for the light, for a home, for connection. Old as the stones, old as the bones. Worn with age, I sit. Hunger urges me on. Time to hunt again. Ominous, darling — just FYI, your story’s not on Rochelle’s page! I just happened to find it in my feed. As Helena said, very ominous. I hope your time traveling isn’t like this. 🙂 Safe return. Fine take on the prompt. You captured the feelings well. Nice job! Very atmospheric – nice one. Hauntingly chilly with an ominous ending!Loved it! You painted a vivid picture with a an atmosphere of isolation and desperation. Well done.